Just steps from Union Station.The White House is 2 miles away and the State Capitol Building is close by. 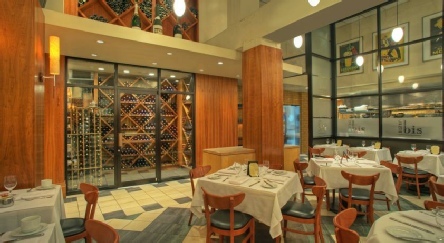 Serving French bistro style fare, Bistro Bis Restaurant offers breakfast, lunch and dinner. Guests can dine on the outdoor terrace during warm weather and indoors by the fireplace in the winter. 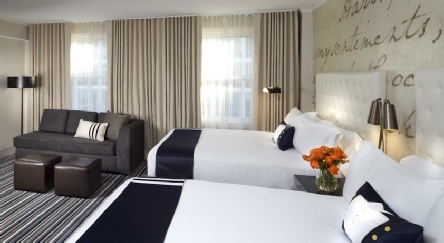 Kimpton Hotel The George features a fully-equipped fitness centre. A business centre boasting fax and photocopying services is available. A stone’s throw from the Capitol Building and Union Station, which means superbly easy access to Metro and Amtrak trains it is difficult to beat the location of this historic hotel. 2019 package holidays to the Hotel George Washington DC Prices are per person based on two sharing, including flights and accommodation (plus transfers in Caribbean destinations), and are subject to availability. Flights from Heathrow - other departures also available, call for details.